Mary Helen Feldman was the co-founder of DCLA’s publication Intercom in 1971, for which she earned DCLA’s appreciation award in 1983. She served as editor for 20 years. In 1992, she received DCLA’s Distinguished Service Award. She produced an index to Intercom in 1994 to mark DCLA’s centennial. She served as chair of its Membership Committee. Mary became an honorary life member of DCLA in 1988. Other professional commitments included service as an officer or committee member for the Special Library Association and its District of Columbia chapter, DC/SLA, the American Library Association, the Catholic Library Association, and the Iota Chapter of Beta Phi Mu. Mary completed her master’s degree at the School of Library and Information Science at Catholic University (CUA) in 1965 where her mentor (and later close friend for nearly 50 years) was Dean Elizabeth Stone. Mary’s first professional job was head of technical services at Trinity College, now Trinity University. She also worked as head of cataloging and head of reference at the library of the U. S. Department of Transportation. Upon retiring in 1983, she became a freelance librarian and continued to catalog materials for many institutions ranging from church libraries to medical libraries. Mary also taught cataloging courses at CUA’s SLIS for 20 years. As noted in the DC/SLA Chapter Notes’ Member Profile in January 2004, Mary was head of a library dynasty with a daughter and granddaughter currently working in libraries. Interviewed at age 83, Mary noted that she continued her deep interest in library work and was reluctant to note “retired” on forms. She “attends programs and receptions to learn and because she likes the people” and was especially interested in anything about cataloging and metadata. Mary was a longtime resident of Takoma Park, MD, and is survived by four children and their families. She passed away in March 2012 at age 92. Elaine Cline was our DCLA president from 2006-2007 and an active leader for several National Library Legislative Day initiatives. She served on several boards and committees of the American Library Association, the Public Library Association, and the Michigan Library Association as well as on the board of directors of the Earl Greg Swem Library of the College of William and Mary in Williamsburg VA. Completing her master’s degree in library science at the University of Michigan in Ann Arbor, Elaine went on to serve as college librarian there and at Hope College in Holland. MI. In Atlanta, she was a librarian at Georgia State University. In Minneapolis, she led Augsburg College in the building of their new library and technical center. Upon moving to Washington, DC, Elaine served as an assistant director of the DC Public Library system and as librarian of the library at the Smithsonian’s National Air and Space Museum. She retired in 2011 from her position as the director of the Ralph J. Bunche Library at the U.S. Department of State. As noted in the obituary published in the Holland Sentinel on Feb. 11, 2012, "Elaine was much more than a highly respected librarian. Both friends and colleagues benefited from her wonderful sense of humor and her many acts of kindness…Elaine also served as a role model for a number of women in her profession." Elaine was born in Clinton, SC, 65 years ago and passed away on January 16, 2012. She is survived by her husband, two daughters and their families. 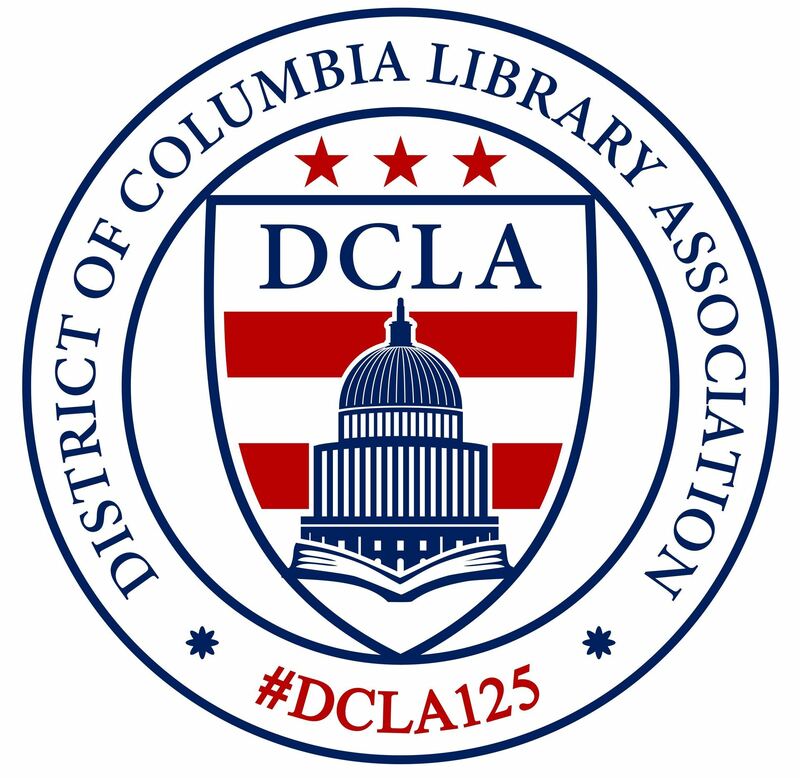 In her honor, DCLA made a memorial donation to the Spectrum Scholarship Program of the American Library Association. Jean B. Craigwell served as DCLA president during 2003-2004 and was the chair of its Nominations Committee at the time of her passing. As a member of the DCLA Student Financial Assistance Committee, she helped the group earn DCLA’s Distinguished Service Award in 2008. Completing her master’s degree in library science at Leeds College in the United Kingdom, Jean worked in Guyana where she established the first library at the Kuru Kuru Cooperative College. Next, she worked for Guyana’s National Archives and later as information specialist for the Guyana Pharmaceutical Corporation. She initiated computerization of library records at the University of Guyana Library and became its resident expert in the fields of science and technology, readers’ services, and women’s studies. Upon accepting a position as acquisitions librarian for the Organization of American States (OAS) in Washington, DC, she advanced in her 20-year career there and became the founder of the Columbus Memorial Library’s online public access catalog. She published articles and presented at national and international conferences. Her guide to the holdings of the Library’s materials on Guyana was published in 2000 by the OAS. Jean was born in Georgetown, British Guiana, now Guyana, and passed away Feb. 8, 2012. She is survived by one sister, two brothers, and their families, and a host of friends made during her many avocational interests and worldwide travel. Dr. Elizabeth Wenger Stone died March 6, 2002 at the age of 83 after a distinguished career as a library educator and leader. Dr. Stone was the Dean of the School of Library and Information Science at Catholic University of America (CUA) until she retired in 1983. She was president of the American Library Association from 1981-1982 when a library stamp was issued and the national highway logo for libraries was introduced. She was president of DCLA from 1966-1967 when membership rose to an unsurpassed 1,018 members. She was president of the Washington D.C. Chapter of Special Libraries Association (SLA) from 1972-1973. She was president of the Association of American Library Schools in 1974 and co-chair and project manager of the First World Conference on Continuing Education for the Library and Information Science Professions Professional Education of IFLA. She was an enthusiastic advocate of continuing education and a champion of libraries and librarians. The Joint Spring Workshop which several library associations in the Washington metropolitan area sponsor each year sprang from something she started at Catholic University. From 1975 to 1979, she served as the Executive Director of the Continuing Library Education Network Exchange (CLENE) and was one of its founders. She was also a founder, in 1977, of the National Rehabilitation Information Center (NARIC) and served as Project Manager from 1977 to 1983. Dr. Stone was the first recipient of the DCLA Ainsworth Rand Spofford President's Award in 1990 for outstanding contributions to library service in the Washington metropolitan area. She received the Presidential Medal for Distinguished Service to Catholic University (1982), the Joseph W. Lippincott Award for Notable Achievement in Librarianship (1986), the SLA Professional Award (1988), and the CUA Alumni Achievement Award in the field of library science (1990). The Beta Phi Mu award in 1998 recognized her distinguished service to education for librarianship. The SLA Rose Vormelker Award in 2000 recognized her excellence in mentoring students and members of the profession. Also in 2000, she was selected for the ALA/ALTA National Advocacy Honor Roll for DC. She was an honorary member of DCLA (1994), ALA (1986), and the Catholic Library Association (1984). She was the 1980 Mother of the Year for the District of Columbia and she was one of the first women to be accepted as a member of the prestigious Cosmos Club. Her memorial service at the National Presbyterian Church on March 12, 2002 was well-attended by former library school students, colleagues, and friends. Contributions in her memory may be made to the Elizabeth Stone Scholarship Fund, The School of Library and Information Science, The Catholic University of America, 401 Michigan Avenue, NE, Washington, DC, 20064 and/or the National Presbyterian Library and Archives Fund, The National Presbyterian Church Center, 4101 Nebraska Avenue, NW, Washington, DC, 20016. Ruth Fine, President of DCLA from 1963 to 1964, left a generous bequest to the DCLA Student Loan Fund to assist future librarians. The fund has received over $178,000 from her estate. She passed away on April 23, 2000 at the age of 92. Throughout her career, Miss Fine served as a mentor to numerous budding librarians. Her interest was always to encourage creative, talented service-oriented people to enter the field of library and information service especially in the public sector. Service to the public was her guiding principle as a librarian throughout her career. Miss Fine received her BA in Library Service from the University of Michigan in 1929. Her first position after graduation was in the Detroit Public Library. She moved to Washington, DC and worked at the Department of Labor until she was invited to the Bureau of the Budget where she started the library. After a distinguished career, she retired in 1972 as Director of the Office of Management and Budget Library. Her honors included Phi Kappa Phi and the Director's Exceptional Service Award from the Bureau of the Budget. A lifetime member of Special Libraries Association and an SLA DC Chapter President in 1962-1963, she also made a bequest to the SLA Scholarship Fund. The bulk of her $900,000 estate went to the University of Michigan Library School for scholarships. Her philanthropy will benefit many library school students.